Situated on the quiet Robinson Road in Mid-Levels and surrounded by stunning views of the city and harbour, in easy proximity to important commercial locations, popular tourist destinations, and to transportation, Bishop Lei International House offers a cosy retreat without sacrificing access to the city. 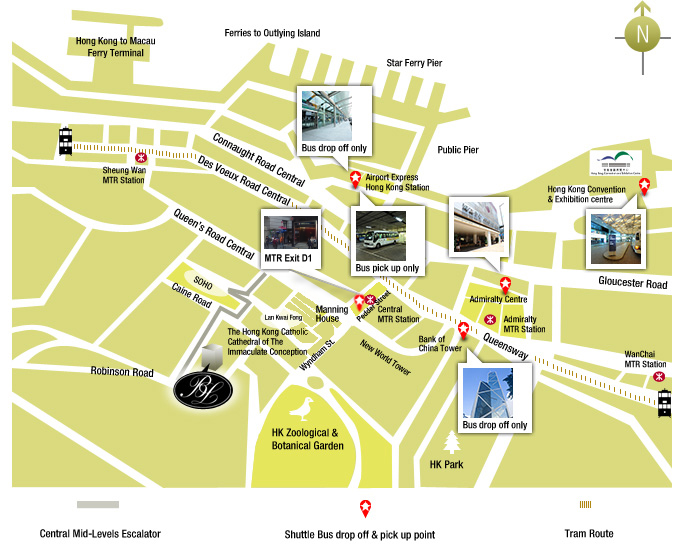 Only minutes from the Hong Kong and Central MTR stations by shuttle bus, the House is also conveniently connected by the Central-Mid-Levels escalator to the upscale shops and entertainment of the Central Business District. 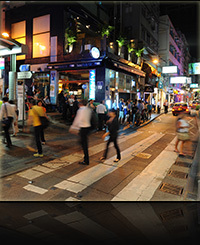 Within easy walking distance are some of Hong Kong’s hottest attractions, like the SoHo area and Lan Kwai Fong. At the House, you're far from the hustle and bustle, but never far from the exciting city life. 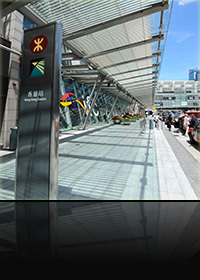 By MTR: it's a half-hour by the Airport Express from Hong Kong International Airport to Hong Kong Station. Trains run every 10 minutes between 5:54am till 12:48am. 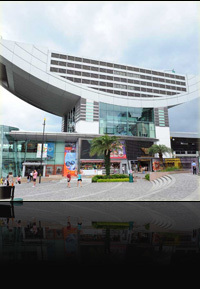 From Hong Kong Station to the House is only 5 minutes by taxi, or 10 minutes by House Scheduled Shuttle Bus. Many prime locations can be reached from the House within half an hour. Bishop Lei International House gives guests a sanctuary from the busy city that’s only minutes on foot or car from hot urban businesses and attractions. 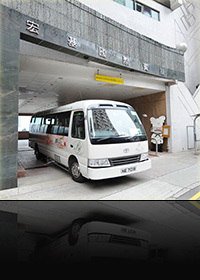 To make it even easier to get around town, a convenient scheduled shuttle bus service is available to and from Central, Admiralty and Hong Kong Convention & Exhibition Centre (HKCEC). Bishop Lei International House gives guests a sanctuary from the busy city that’s only minutes on foot or by car from hot urban businesses and attractions. Taste the cosmopolitan chic of SoHo, so named because it's south of Hollywood Road. 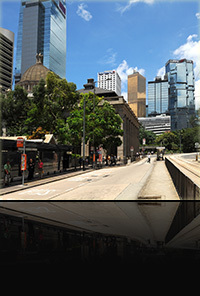 Home to the world's longest outdoor covered escalator system, this trendy area's many international restaurants offer travellers a gourmet globetrotting experience. 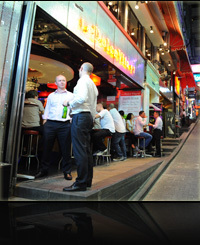 Tucked amid the skyscrapers of Central, the world-famous Lan Kwai Fong is the heart and soul of Hong Kong's nightlife. Pubs, clubs and eateries open to entertain the evening crowd and keep the fun going well into the night. 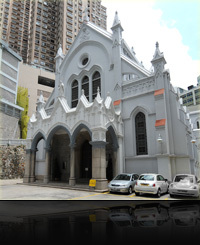 The city of Hong Kong's Catholic centre is the Cathedral of the Immaculate Conception. This serene sanctuary is a Grade I Historic Building whose renovation won acclaim for its sensitivity to cultural conservation. The Cathedral is open daily to the public from 7:00am to 7:00pm. 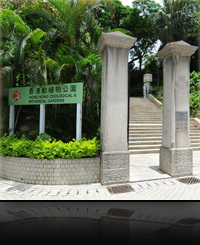 First available to the public in 1864, the Hong Kong Zoological and Botanical Gardens are among the world's oldest zoological and botanical centres, and entrance is free to the public. 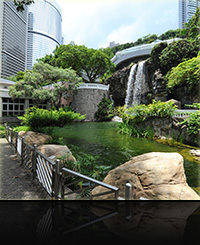 This large urban garden is home to over 1,000 species of plants such as Hong Kong Orchid Tree, as well as exotic animals like Bornean Orangutan and American Flamingo, many organized into themed areas. This award-winning public park is frequently cited as a prime example of how to blend modern urban facilities into a natural outdoor setting, and is home to historic buildings, sports facilities and natural exhibitions. For ease in getting around Hong Kong during your visit, please print this card containing a map with the House's location and information on local transportation options.